There will be a complete livestream, which we have embedded below, so you won’t be missing a thing. We expect the unveiling of the Moto Z smartphone, along with those Moto Mods that were reported on earlier. Once the keynote is wrapped up, it’s possible we have a bit of hands-on time with whatever Lenovo and Moto announce, so expect that, too. 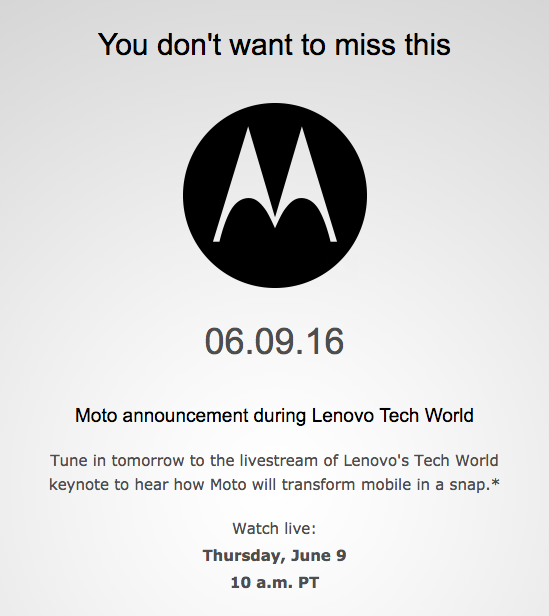 Do note, Moto’s announcement is scheduled for the second hour of the keynote presentation. Fleksy Isn't Dead, Should Have Updates in "Next Couple Weeks"